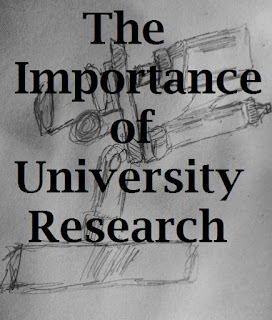 Academic-Capital: Why Research is Fundamental To University Contribution and Image? Why Research is Fundamental To University Contribution and Image? Research in today's world is hugely important as companies seek to be innovative and generate new and unique ideas. Research is often out of the reach of the average person and is typically completed in business or in academic settings. Encourage universities to conduct research based on the needs of the market can help push innovation in society. Universities have something to say. Incorporating research into a professors responsibilities helps to develop the full purpose of the university system to increase knowledge. That is difficult unless new knowledge is being generated. While not all professors must do research they should be contributing to their fields in some way. Industry-University partnerships can help in the development of specialized knowledge that furthers a particular industry. This could be a new method of plastic injection or anything else. It is using the researchers abilities applied to specific problems that have practical utilization. While we think of research as only contributing to the body of knowledge it also creates greater brand image of the university itself. Conducting research is important for disseminating useful information to the rest of society. Each article, research study, news spinet, press release,etc... gets hits on search engines that leads to greater overall image.